He may have made some handy contributions with the bat for England over the years but under normal circumstances Ryan Sidebottom's wicket would not be a prized one. On this occasion his dismissal on Sunday morning was not only the match winning one but it was the twentieth English wicket to fall. After weeks of trying, South Africa had finally broken through the magical '19' mark. For basically a statement of the bleedin' obvious, the importance of 'taking twenty wickets' has come along way in recent years. In the hands of players and commentators alike, it has moved way beyond truism, transcended mere cliché and attained a significance only usually reserved for ethereal terms like 'the spirit of the game'. It may even go mainstream one day, instead of 'closing the deal' you could be 'taking the twentieth'. Aside from limited vocabularies and limitless press conferences there is a good reason why captains and coaches are speaking about it more. 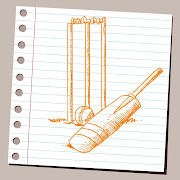 Results in Test matches are expected now. With covered pitches, covered outfields, better drainage and even floodlights much less play is lost to rain than fourty years. As a consequence every one of the Test playing nations who were playing then and now have reduced considerably their percentage of drawn games. Pakistan for example, between 1970 and 1979 drew over 56% of their matches compared to only 26% in the last ten years. Most pleasingly, outside the subcontinent the stalemate has become almost a thing of the past, but with it has also gone many a captain's and many a bowler's first excuse. This has become the era of the 'good draw' or even the 'great draw', the type of concept that leaves your stereotypical American bewildered. But for all the honest, positive sentiment after games such as Cardiff, Centurion and Cape Town, the truth of the matter is that winning is still almost everything. As an Englishman I celebrated those epic draws, but had I been an Australian or a South African I would only have cursed the missed opportunities. The Australians are also responsible. Specifically the Australian side of 1989 to 2007. They are responsible because they have skewed our current reality. Teams didn't actually finish off teams with any greater regularity in the past, certainly not since covered pitches were introduced and timeless Tests abolished. That particular Australian side was a complete Test team, the first in a long time and much more complete than the West Indies of the late 70's and 80's who were one-dimensional by comparison. The Australians had a conveyor belt of high quality batsman, two superb wicket keepers and two of the best bowlers, one fast, one slow that have ever played the game. It would be too easy to say, especially given the theme of this article, that it was Shane Warne that really made the difference. Sure on many occasions it was him that finished sides off, but he only got that opportunity because of the work of the team as a whole. Cricket is a team game and Test cricket a true test of that team. Where there is a weak link it will be shown up, especially on a good pitch and even against moderate opposition. Unlike Australian, South Africa have always suffered from an overly defensive mentality but like today's Australians they also do not yet have the players. Morkel and Steyn are already very good and will get even better but without the depth battting and the spin bowling to match, they are fated to suffer further frustrations. Harsh as it might be, a draw doesn't just mean you failed to beat the opposition it means you failed to meet the challenge of the game.